Lost Planet 3 is a third-person shooter video game developed by Spark Unlimited and published by Capcom for Microsoft Windows, PlayStation 3 and Xbox 360. The game is the prequel to Lost Planet: Extreme Condition and Lost Planet 2 and takes place on the same planet of E.D.N. III. The game will take a more story-driven narrative approach to the campaign similar to the first game. Unlike previous games in the series, which were developed internally by Capcom, the game will be developed externally by Spark Unlimited with Matt Sophos serving as game director, though series creator, Kenji Oguro, is still attached as franchise creative director. This follows a recent trend of Capcom games being developed by Western developers rather than internally, such as DmC: Devil May Cry. Lost Planet 3 introduces Jim Peyton, a rig pilot who leaves Earth to take on a hazardous but lucrative contract on E.D.N. III. Working for Neo-Venus Construction (NEVEC) who are preparing the planet for colonisation, Jim joins his fellow pioneers at the Coronis base and begins surveying the uncharted terrain and obtaining samples of the planet’s energy supply – Thermal Energy. With NEVEC’s existing Thermal Energy reserve running low the fate of the Coronis mission depends on the natural source of the energy supply being located. Realising that this is a great opportunity for a huge pay-off and early ticket home to his family, Jim braves the risk of the treacherous environment. 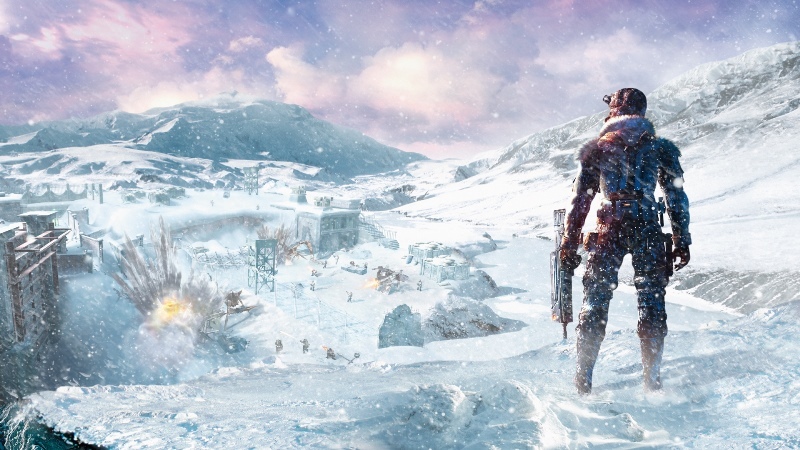 Lost Planet 3 delivers a mix of both first and third person action. Acting as a home away from home and offering protection from the ever changing climate, Jim soon discovers the utility rig’s array of tools are just as useful at taking out Akrid as they are at helping him fulfill his contract work. Outside the rig the action switches to third person with Jim at the mercy of the elements. He’ll need to battle against hostile enemies with a mix of gun and melee based combat whilst surviving all that is thrown at him. With a number of multiplayer modes and a compelling single player experience, Lost Planet 3 will delve deeper into the Lost Planet universe, uncovering hidden truths within the unique and dynamic environment of E.D.N. III. Trainer for the game Lost Planet 3, you can use it to activate these essential cheat Codes: Infinite Health, Infinite Health Robot’s, Infinite Money 99999999, Infinite Ammo 999, No Reload, One Hit Kill, Add Special Component 999, Infinite Grenades, Rapid Fire, Super Speed, Slowmotion, Super drill. Bullet Time, One Hit Kill, Freeze Enemies, SlowMotion Enemies, Teleporter. Note: This cheat tool is for the original v1.3 (v1.0.3 Steam) version of the game.